Add items to your cart. Is this order a gift? Gin Cocktail Kits Tequila Cocktail Kits Bourbon Cocktail Kits Whiskey Cocktail Kits Vodka Cocktail Kits"
Encase your spirits, champagne or wine in this luxury velvet drawstring bottle holder to make the perfect gift for any occasion. Made by hand by BillyKirk Leather in the U.S.A., this luxury leather bottle holder is curated with uncompromising attention to quality. After two distillations, the Añejo is aged for two years — longer than any tequila in its class. Riazul selected French oak barrels previously cured with XO Cognac, made with wood from the Citeaux forests of Burgundy which feature a medium toast and indigenous vanilla tannins. The Añejo displays subtle hints of agave, driven by delicate flavors of honey, vanilla, dried fruits, and spices. Please Drink Responsibly. This product is only available for delivery in the following states: AZ, CA, CO, CT, DC, FL, IL, LA, MD, MA, MI, MO, NE, NV, NH, NJ, NY, ND, SC, TX, WI, WY. Please keep your engraving to characters per line. Due to the customized nature of engraved orders, please allow up to 10 business days for order processing, engraving, and shipping. Express orders will be shipped as soon as the engraving process is completed. Vibrant aromas of banana cake and vanilla frosting, caramel, almond as well as marachino cherry, and spicy pineapple. Soft, silky entry leads to a fruity medium body with great depth and melange of sweet and peppery spices. A perfect balance between vanilla and spice, gives way to a lingering coconut cream accented fade. Riazul was founded in the desert Highlands of Jalisco, Mexico on the land that was handed down from generation to generation for more that 200 years. That is where Inaki Orozco, the founder of Riazul, hand planted the Blue Agave with the permission of his family-elders. The unique terroir, with its virgin volcanic soils and the area’s harshest micro climate, produces Agave unlike anywhere else in Jalisco. 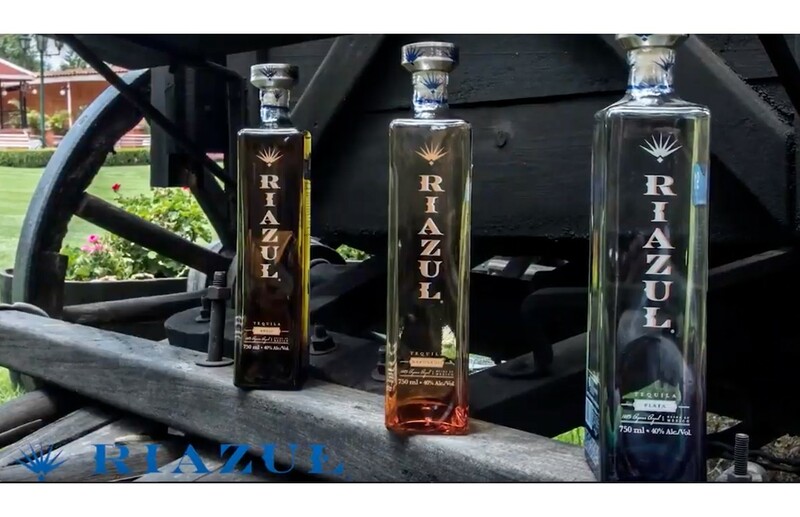 Riazul is truly a unique sipping experience. In a cocktail shaker, muddle the orange peel, bitters and agave nectar. Add ice and Riazul Anejo Tequila and shake. Pour into an Old Fashioned glass. Garnish with a maraschino cherry. * Free ground shipping on orders of $150 or more (not including tax). Use Code: SHIP150 at checkout. Limited Time Offer. Cannot be combined with any other promotion.